Brief Description: HOURS 697. 21HP DIESEL ENGINE. LOW DUMP COLLECTOR. 4X4. PAS. HYDROSTATIC TRANSMISSION. 48" TWIN CUTTING DECK. More Information: Here it is !!! 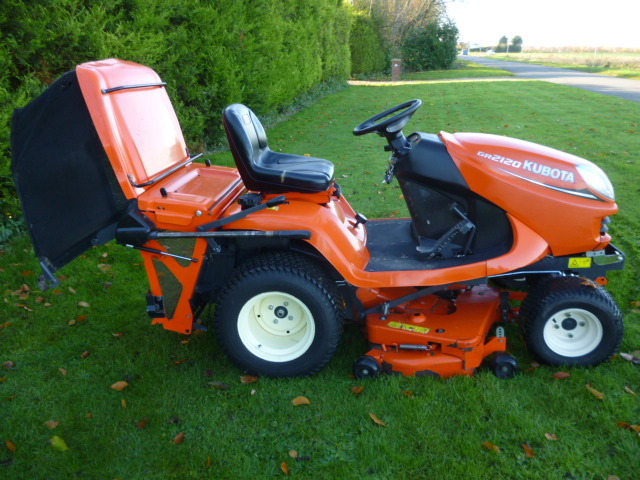 The New Kubota GR2120 Ride on Mower. 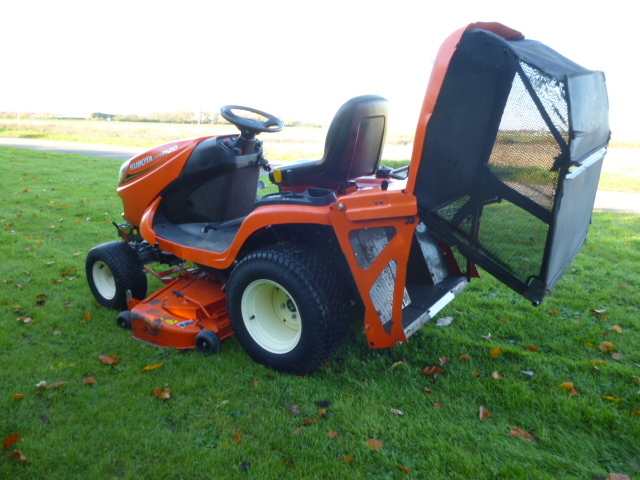 It is a briliiant, robust versatile mower. 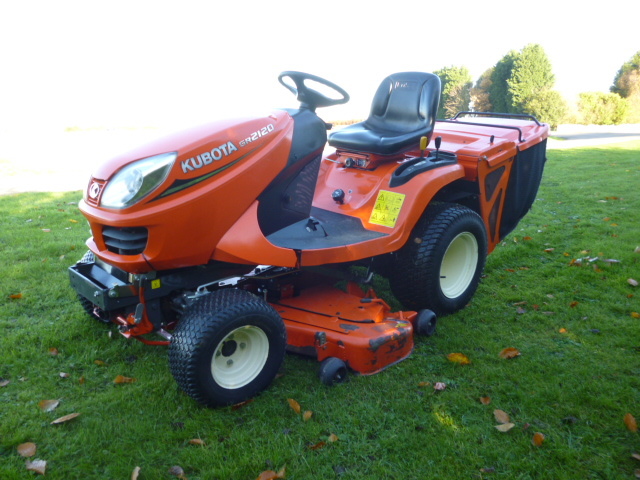 The Kubota GR2120 mower is the machine to look at if you want to replace your GR2100 diesel lawn mower, G18 or G21.Kubota (UK) Ltd has just added the new GR2120 mower to its comprehensive lawn tractor range. 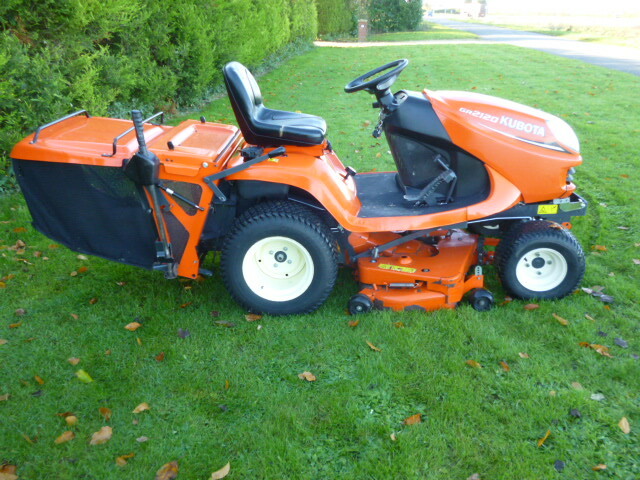 With loads of advanced features, the 21hp diesel powered mower is tough, easy to operate, fitted with all-wheel-drive hydrostatic transmission and the GR2120 mower is ideally suited to the demands of large home and small estate users.A key feature of the GR2120 mower is the unique Kubota Glide Steer system. Redeveloped for this new model, Glide Steer delivers an unmatched combination of manoeuvrability and turf protection as the front axle approaches its full lock of 70 degrees.Glide Steer enables the operator to drive around an obstacle, such as a tree with an extremely tight turning circle, allowing a single-cut pass - without the worry of the wheels scuffing the turf. 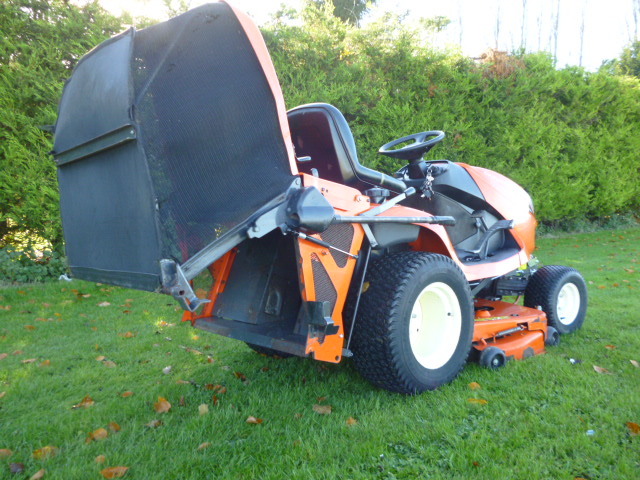 At full lock, the uncut circle left by the GR2120 mower is only 100cm.The GR2120 mower comes with a high-efficiency 48in (1.22m) twin-rotor deck. 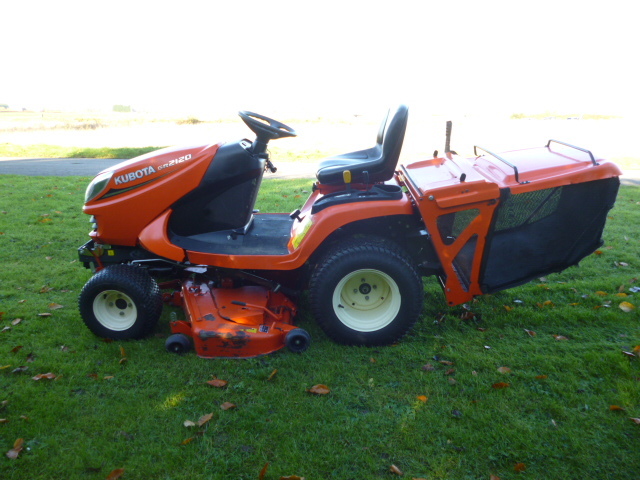 Grass cuttings are discharged directly into the collector, the deck will cut and collect grass of up to 102mm in height. The high tip-speed blades are also designed to deliver an exceptional finish, the deck offering a minimum cut height of 25mm. The integral 450 litre collector is able to operate to capacity due to a newly developed electronic 'collector full' sensor system alerting the operator only when the full collector capacity has been utilised. Emptying the collector is gas-strut assisted and the operator can easily empty the collector without the leaving the seat.